The Super Bowl, arguably the biggest betting day in the US, is a little over a week away. Casinos and on-line sports books are famous for taking all kinds of strange bets, called “props”, during the Superbowl – from how long the National Anthem will take to the outcome of the coin flip. Needless to say, betting is as much a part of the Super Bowl experience as the funny commercials, beer, and snacks. But, can we consider gambling as sport heritage, and do many sport-based museums and halls of fame discuss gambling as part of sport? Of course, as long as there’s been sport, there has been gambling on sport. Indeed, many sports – like cricket – were codified in large part because of gambling. Some of sports biggest and most notable moments – such as the 1919 Black Sox scandal in baseball – are integral in discussing and interpreting the sporting past. But, do sports museums discuss gambling as part of their past, or indeed their present? 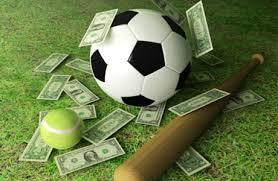 And, should a discussion of gambling – either as in historical or contemporary terms – be part of more sports museums? The Mob Museum in Las Vegas held an event last year about sports gambling – though, of course, this museum is not sport-based and many of its exhibits are about about gambling. It appears that both the National Horse Racing Museum and Kentucky Derby Museum make mention of gambling, though I don’t believe there’s the equivalent of a gambling simulator at either site. Online museums, like the National Pastime Museum, discuss famous gambling and match-fixing events in baseball. Of course, there may be other examples from sport heritage sites but, seemingly, sports gambling is largely ignored within sport heritage. In the wake of so many recent gambling issues – in tennis, cricket, soccer, and basketball among others – should sports museums be more proactive in discussing sports gambling, both past and present? Certainly, gambling plays a central role in the history of many sports – shouldn’t sports museums and halls of fame represent these pasts? Similarly, the fact that many sports leagues embrace sports gambling as part of the contemporary sport consumption experience – particularly through fantasy sports – shouldn’t museums play a role in discussing both the positives and negatives of sports gaming? Of course, many sports museums and halls of fame don’t want to touch topics like gambling with a ten-foot pole, but others might find that by discussing gambling at their sites they not only present a more holistic view of the sporting past, they also become part of the contemporary conversations about the role of gambling in sport. By Gregory Ramshaw in baseball, Basketball, cricket, football, gambling, heritage, history, horse racing, museum, sport, sport heritage, sport history, tennis on January 29, 2016 .